Having seen The Terminator in the theater as a preteen and believing Terminator 2: Judgment Day to be the finest Sci-Fi action movie off all time, it is unnerving to hear that Terminator Salvation is getting such poor reviews. 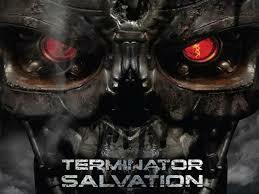 Anyone who has seen the latest Terminator, it would be great if you gave your reactions. It is sad to think such a great franchise would have a poor showing. 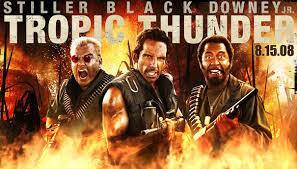 Maybe we should remove Schwartzenegger from Gov of CA and have him reinvent his classic role. The clear and the cream may help Jason Giambi go yard or Shawne Merriman stop the run, but can these substances help 50 Cent spit mad rhymes or Mary J. Blige warble? Evidently steroids are hip hop performance enhancers. the stars may have obtained performance-enhancing drugs from doctors, pharmacists and clinics under investigation by Albany County District Attorney P. David Soares. The newspaper cited medical records and testimony from several unidentified witnesses stating that Blige, Fiddy and others, in a bid to appear young and fit, received shipments of prescribed human growth hormone at hotels, production studios, health clubs and private residences, even sometimes using fictitious names. Blades of Glory is the story of Chazz Michael Michaels and Jimmy MacElory, two male figure skaters who are banned from individual competition, but are return to competition as a male-male figure-skating pair. Michaels is played by Will Ferrell (Anchorman, Old School) and MacElroy is played by Jon Heder (Napoleon Dynamite). The movie is not as good as some of Ferrell’s earlier films, but overall it is funny and worth watching.The DVD has a decent number of extras, including deleted scenes and interviews. This is an update of an earlier post and gives more information about Heath Ledger playing the Joker in Summer 2008. The film draws from The Dark Knight Returns by Frank Miller. In The Dark Knight, Batman joins Jim Gordon and Harvey dent to fight orginized crime in the streets of Gotham. The partnership, however, pleads to the rise of a new criminal known as “The Joker.” The film will be directed by Christopher Nolan, who directed Batman Begins in 2005. Filming is ongoing, including explosions, for The Dark Knight. If The Dark Knight is anything like Batman Begins, it will confirm that the Batman franchise is here to stay.